Tracking user logon activities in Active Directory can help you to avoid security breaches by preventing unauthorized accesses. Every time a user logs on, the logon time is stamped into the “Last-Logon-Timestamp” attribute by the domain controller. Last logon time reports are essential to understanding what your users are doing. For example, with these reports you can determine the last logon time of users, and then find and disable inactive accounts; minimizing the risk of unauthorized logon attempts in the network. Such reports can also help investigate security breaches. 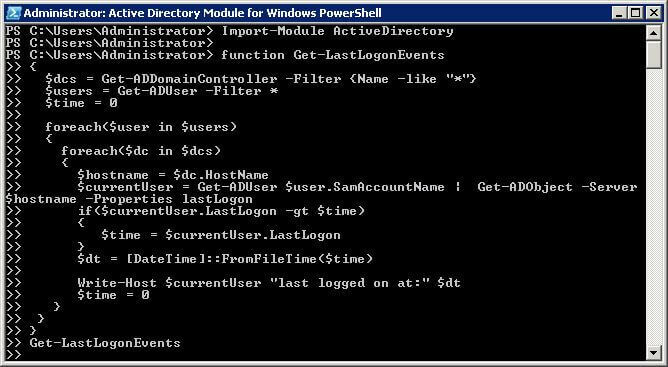 In this article, you will see how to generate last logon reports using PowerShell scripts. You will also see how the same report can be produced faster and easier through LepideAuditor for Active Directory. 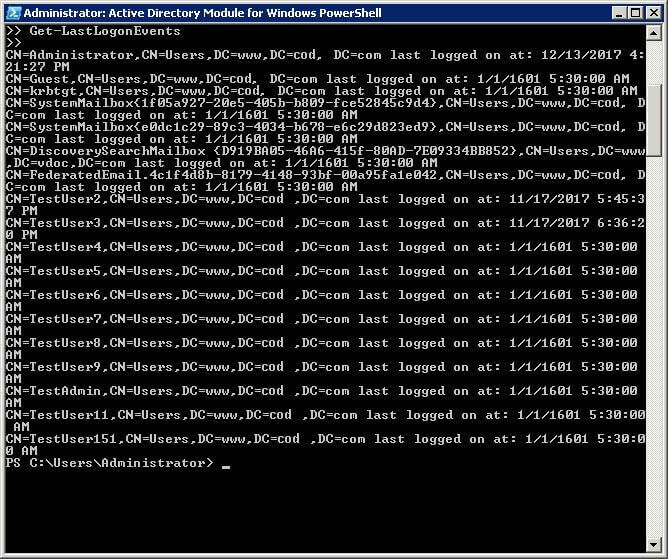 Start Windows PowerShell through the Start Menu or by using “Run”. You can also type “PowerShell” in the Start Menu search and press “Enter”. Press the “Enter” key once at the end of the script to execute it. You can modify the provided script to export the output being displayed on the screen to a CSV or text file. 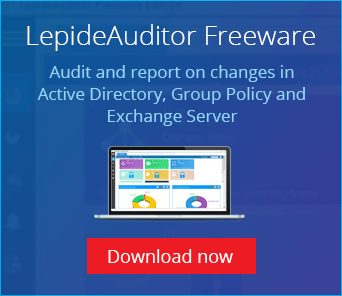 LepideAuditor for Active Directory gives you detailed information about all Active Directory activities, including reports on last logon time for users. The auditing solution has predefined reports that help you track the last logon time of users. In the following image, you can see the user logon/logoff report. All users are displayed in the “Who” column and their corresponding logon times are available in the “When” column. You will have to sort the report to find users’ last logon time. As you can see, complete audit information regarding successful user logon/logoff is shown on one line. To detect the last logon date of a user, you will have to sort the report on “When” column. Start your free trial today and try it out for yourself!